Tuesday was my lovely fiancee's birthday and, as such, I decided to surprise her with an hour-long personal massage with the local professional and an expensive dinner at Coopers Hawk, a winery/restaurant that she's been dying to try. Stress and anxiety are seemingly constant companions in her professional life, so I figured a massage would be great way to release some of that tension. So, while she was melting off some stress, I found myself with an hour to kill in the large strip mall where the clinic is located. Therefore, I began to wander about. After a couple of minutes walking about aimlessly, I came across a kiosk on the sidewalk that immediately became my aim - it was a group of kids selling Girl Scout cookies. Heck, Yes. 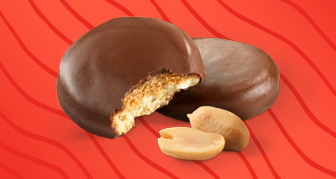 A box of peanut butter patties would be the perfect companion for an hours worth of time-killing (honestly though, it would take me much less time to consume the whole thing). However, I did not have any cash on me, Thus, I wandered into the first store that caught my eye and hoped they had a cash back option with a purchase. I'd been wanting to see what these were all about for a while; this seemed like as good of a time as any to pull the trigger. So, I went to the counter and made my purchase, but I was never given the cash back option. Dammit - strike one. Undaunted, I decided to swing next door, to Five Below, and see if they'd be able to help me out with my little problem. After a few minutes of perusing the racks within, I again decided to go with a cardboard purchase in order to meet my need. I've seen these for the Cubs and White Sox at Five Below before, but this was the first time I saw one for the Monsters of the Midway. Might as well give it a shot, right? For the second time, I approached the counter, had my item ringed up, swiped my card and... paid. Again, no option for cash back. Double dammit - strike two. At this point, it's been close to 30 minutes and I'm rapidly running out of time to get my fix... God I sound like a drug addict, don't I? I mean, Girl Scout cookies are pretty addicting though and only come around so often. Luckily, on the other side of the retail area, I spied a Target and I knew that they usually have the proper ATM's in their stores. In order to save some time, I loaded up into the car and drove myself across the mall to get some cash. This was starting to get personal. I quickly swept the front of the store, looking desperately for the correct ATM so that I might buy my peanut-buttery fix, only to discover that, not only did they not have the ATM I needed, they did not have any ATM's within their walls at all. With hunched shoulders and a broken spirit, I called off my search for cash and left the Target before I added another blaster of Heritage to my unplanned card purchases. Strike three - you're out. Well then - I think having a Cub right on top was the universe's way of saying, "hey man, I got your back." That was definitely a pleasant surprise. These "cards" feature decals that are designed to be stuck and re-stuck anywhere your heart desires, like their much larger counterparts. In hand, I was surprised to find out that they feel kind of papery - for some reason, I expected that they would be more like vinyl. No other real draws for me; but, the Riz alone was worth the price of admission in my eye. Much like UD Collector's Choice Stick 'Ums, I won't be sticking them anywhere and will instead treat them like any other over-sized, oddball trading card. 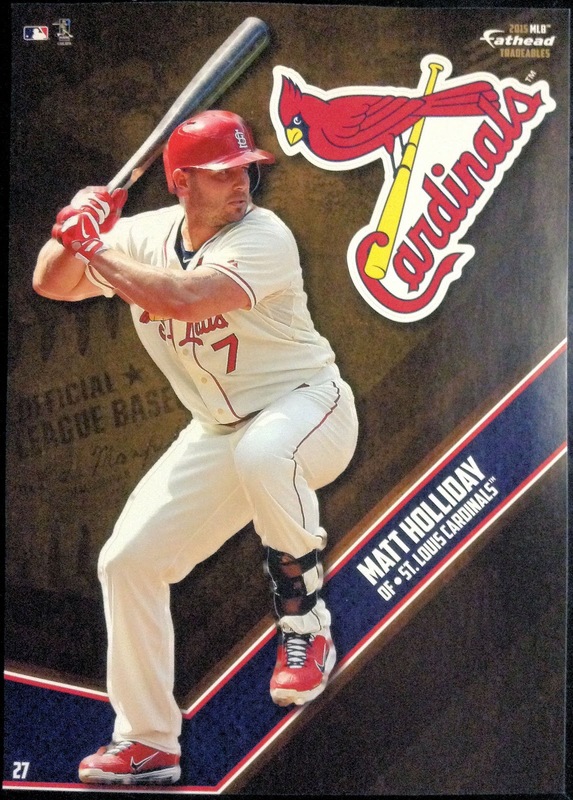 Part of me wonders if the fatheads over at Fatheads were expecting people to treat them as such and used this mini-decal thing as a loophole to dip their toe into the trading card market. Am I getting a little too conspiracy theory-ish here? Probably, better just move on to that Bears "Favorite Team Pack" that I acquired at Five Below - a couple of usable cards from that would have made this whole mission feel a lot less like a failure. Hey - there's two useful cards right there! My gut feels assuaged... and empty due to a lack of Girl Scout cookies. That's my first card of Tim Jennings, so the cornerback is now represented within my Bears All-Time Roster collection. Meanwhile, while I did have a card of backup QB David Fales already, it commemorated his time spent at San Jose State. This is my first official Bears card of the next guy up should Cutler stumble next season (even if does use a tightly cropped picture of him wearing a Spartans uni... shhhhhhh). 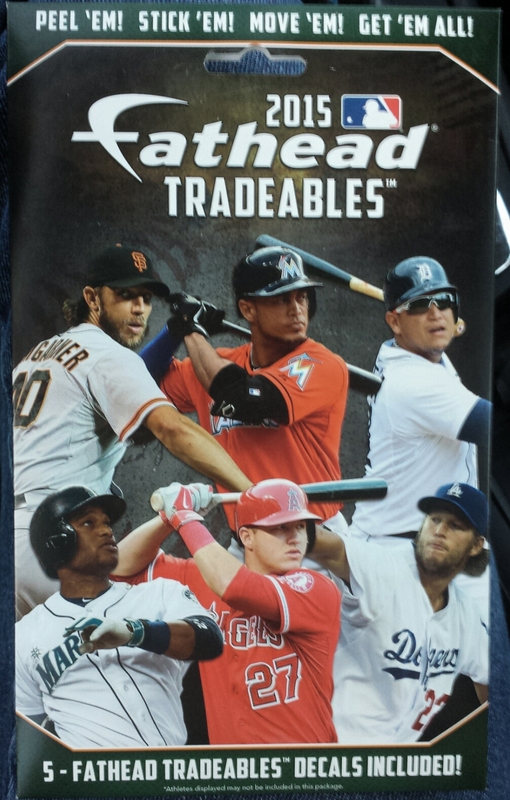 Honestly, they could have almost just called this a pack of 2014 Score and gotten away with it; about 75% of the repack's contents came from that checklist. As you might be able to tell, several of them are marked with "Hot 100" in foil in the upper left corner. These aren't parallels - they feature different pictures and card numbers than the base counterparts - so, I guess their some sort of subset that I can't really uncover any information about. I'd guess that this is some sort of collation of the top 100 players in the NFL, but I know the Bears wouldn't have THAT many players on that list. Any know for sure what the deal with these are? YAY! Another new name for the Bears All-Time Roster collection in Marquess Wilson, one in the never-ending parade of replacement wide receivers necessitated by injuries. Otherwise, Wilson probably wouldn't have seen much of the field in the past two years. I include the Green Greene rookie card on the right because this is the third time I've bought this card. Every time I buy a football repack (which is only about 5 times total) this card falls out. I'm considering filing for a restraining order. I thought maybe that Cade McNown was a parallel, but it's not. I didn't start collecting football until a couple of years ago, so I don't know these things. But, blue is my favorite color, so there's that. 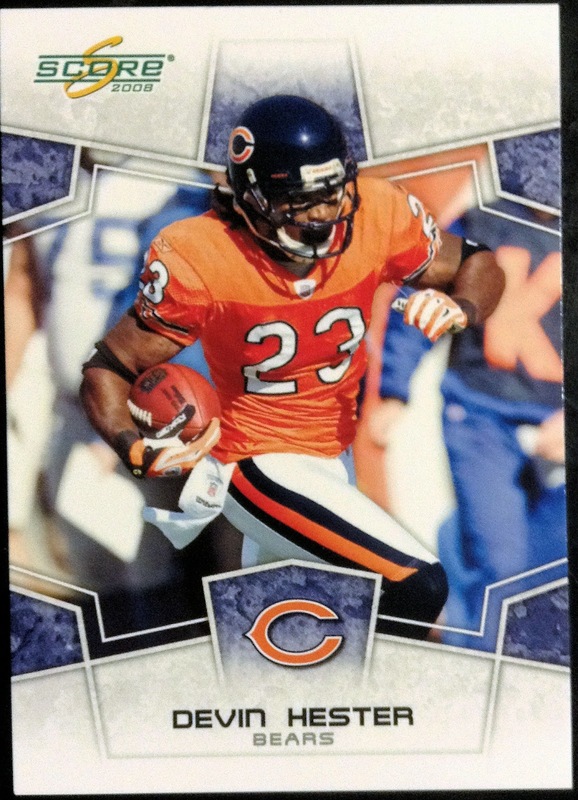 Meanwhile, that Desmond Clark is definitely a black parallel - even I know that the 2008 Topps design was white (thanks cross-product design!). That always makes for a nice spice in a repack. So too does any new-to-me card of my favorite Bear, "the Windy City Flyer." I maintain that, in his prime, there was no more exciting play in football than a Devin Hester kick/punt return. It's too bad that he was such a one-dimensional player. OK - overall, I have to say that I am quite content with my purchases. While they did not allow me to buy any delicious peanut butter patties, they did allow me to fill some cardboard needs and add a new oddball to my collection (and I love oddities). Luckily, after my travails during the massage time, my stomach was quickly filled with scrumptious helpings of pretzel bread, chicken pot-stickers, jambalaya and crab cake, along with several glasses of white wine at Cooper's Hawk. Needless to say, I got over the cookies pretty quickly. In the end though, I guess the moral of this story is to always have a little bit of cash on hand - just in case. Man, sorry to hear about your Girl Scout Cookie fail. That's rough. Now that you're working in a school district it shouldn't be too hard to get your fix. We always have a couple of teachers in the building who are push that deliciousness for their daughters. Good luck! Stop by my classroom. I purchased over 15 boxes this year from my students and have been slowly feeding my colleagues at lunch. Still have at least 1 or 2 boxes of those Tagalongs. I'm not a fathead guy, or a football collector, but that was an enjoyable post regardless.